When I began this journey with Hodgkin Lymphoma a few months ago, I really didn’t know what to expect. My father went through the same regimen for the most part, but even though I was very close to him during all that struggle, I was still not ready for the full “Cancer” treatment. For those of your that really know me, you know that I am not a very patient person. That goes for having patience and being a patient (see what I did there?). Today was chemo treatment number 7. If you remember my first treatment was on December 27th of last year. That seems like an eternity ago. That was even before I started my blog. Now I am a veteran of the chemo ward. Everybody knows my name there, just like Norm from Cheers. I have now had the pleasure of sitting in all the different nooks and crannies in the chemo dock. I have also run the gamit of side effects. I went through hair loss, metallic mouth, exhaustion, nausea, and migraines. I have had some of the worst days of my life these past few months, but I must say I have also had a few of my best days. And you know readers, I really couldn’t have had those best days without cancer. Really think about that. Our trials in life are what make life beautiful. They are the things that expose us for who we really are. A few years ago through a series of actions some good, a lot bad, I lost many of my closest friends. It was one of the best times of my life, because it was so awful. When my father went through chemotherapy I was in middle school. Then my parents separated for a time. Because of my dad’s journey, I had a guide here with me every step of the way. Because of that time apart, my parents love each other more today than they ever did, and they love us (the kids) better too. I know I probably sound like a broken record by now. Maybe I look at the bright side of life too much or maybe thats just the way God wants it. Don’t get me wrong, many days I am just ready for this to be over. However, I can’t help but sit back and think, “God what are you really doing here.” It has got to be good. When I was in high school I was a part of the nation’s #1 showchoir in America, Clinton Attache’. I played trumpet in the pit. Being in this group was one of the top 5 choices of my life (bet you wonder what the other 4 were). We traveled the country competing and my class never lost a competition. Now I get to see my students perform just like I did when I was there age. There are three songs that were my absolute favorite songs that Attache’ ever did. Two of them I got to perform. Gold by Prince and Separate Ways by Journey. One of them I never played and that was The Final Countdown by Europe. That’s where I am readers. The Final Countdown. Can’t you hear the music? (ba-da-da-duh, ba-da-dat-da-duh, ba-da-da-duh, ba-da-dat-da-da-da-duh). One more treatment to go. Wow. Oh and cancer and me are not done yet. I have a bone to pick with it. Don’t think I haven’t forgotten about the big announcements coming to the blog. They are still coming. Some of you think you know them all, but you don’t. I am seeing more and more why I have to go through this and I hope you continue on this ride with me. May 7th – we get to see the hole where a diease used to be. I don’t know if I have ever been the kind of person that liked to handle things alone. I have always been the one to want to have someone there with me through every situation. I like companionship and friendship. However, I am one stubborn kid. I hate to be told no and thats not possible. I also don’t like to be taken care of. You can ask my parents. I hated to be told what to do. For instance, if I was supposed to clean my room it had to be on my terms. I didn’t want to be told now was the time to clean. I wanted to clean in Bryce’s time. Same thing with getting out of bed in the morning. I wanted to get up when I wanted to, not when anyone else wanted me to. This obsession has overflowed into my classroom. Not that I have the most organized room in the world, but my process is set and my way of distribution and grading and leading class is perfect for my room. I love it. All of this is leading up for me to tell you that this week was the worst week of my year. First, one of my eyes, usually my right eye begins to have blots of my vision missing. I can’t focus, my vision begins to blur, and I lose a bit of depth perception. It is almost like I lose sight out of my eye with it being completely open. As my vision comes back, a slight ache begins above my left eyebrow. My vision comes back completely, but the pain is becoming greater. I begin to sweat from the stress and strain. My words start to slur and stumble. I can’t figure out what I am trying to say. The pain is now so great that it is all I focus on. Light hurts to look at. Sound begins to feel like it is bouncing in my skull. I have to run. Nausea sets in. All I want to do is rip the pain out. Nothing makes the pain subside. And there I twist and turn for hours until I either throw up all that is in my stomach and fall asleep or I get medicine that knocks me out before the nausea is done. Laying in the dark with an ice pack on my forehead helps, but it is no match for the pain. And there I am waiting for the pain to subside. That scene was my Tuesday afternoon. That scene was my Wednesday most of the day. That scene was my Thursday afternoon. Each day I tried a different medicine approach. Each day the medicine failed to help. Every day I woke up feeling good and went to school to teach. Every day I felt my vision begin to “short out” and I knew what was coming. After three days of nausea, headaches, and frustration, I took Friday off just in case. I took the day slow and tried to pick up the pieces of my mess of a week. We found out that migraines really weren’t usual chemo side effects. So that means I am unique….yay. Another theory might be that the migraines are caused by anxiety brought on by the chemo. Also I have two more treatments left and if this is a sign of things to come, I really dread the last two trips. But I can’t think like that for the anxiety in me might explode. All I know is that I am ready for the end. I really had to learn that lesson from Mr. Rogers this week. I could not have made it through this week alone. I needed help. I needed my wife to fix me the best ice pack ever made and hold it on my forehead while I slept. She also covered up windows in our bedroom to block the light out. I needed my fellow teachers to step in and take care of my students that I had to leave in the middle of the day. Again I am reminded of how amazing it is to have willing and able people around you who care about you. I had to sit down and swallow my pride and say, “I can’t do this.” I think Mr. Rogers is right. It is harder sometimes to say you need help. So many people ask me all the time what can they do and I always say, “oh nothing,” or “just pray.” The fact is that it is so much harder to accept the gift of help. We are such selfish beings. We think we can do it all, but the truth is that we really can’t. So thanks everyone for stepping up and saying, “let me do that.” This week, I really couldn’t have done it without you. Most people love Spring Break. I am one of those people. I have always had a Spring Break. It is one of the many perks of being a teacher. Ever since I was young, Spring Break has always meant vacation. Mainly those vacations were in Disney World. When I was in 9th grade, I went to Disney World with my good friend Geoff and his family. It was epic. In college, I went with a group of friends from Mississippi College. That trip too was epic. After college, Carly and I traveled to Disney World with my sister and her now husband. Then yet another year we went with our good friends Steven and Chrissy. Both trips were, as you guessed, epic. This year there would be no Disney World. Instead there would be chemo. I love this time of year at Disney and really just this time of year. Spring Break this year began with Daylight Savings Time, which is great that there is more sunlight after 5 pm. I love long afternoons that extend into the evenings. It is a grea time to have a walk or play some frisbee. It is also a great time to be at EPCOT at Disney World. EPCOT just started their annual Flower and Garden Festival, which showcases the Disney Park’s green thumb. You really can see the change from Winter barren to Spring bloom. So what did I do on my Spring Break? The answer is a lot, just not what I wanted. Saturday and Monday were work days with my father and brother in law. I married Carly for many reasons. Her family was a bonus. They came over and helped fix my front door handle and the front of our bathtub in the master bath. Monday we installed a new microwave, replaced a busted headlight, hung pictures, fixed a hole in the fence, and I got the pleasure of visiting Comcast. Tuesday I visited the Mississippi State Capital with my dad. He works there when the legislature is in session and I enjoy learning more abou his work and visiting with his collegues. Many of them have been praying for me and I wanted to say thank you and also show that I am alive and well thanks in part to their support. Wednesday saw lunch at the Old Capital Inn for some Crab Cakes, some work on my graduate project for MSU, and some Settlers of Catan with my good buddy Adam. I was one wheat away from victory. They should have let me win…..I mean I do have cancer. Today saw the end of that. Today was chemo treatment 6. I agree that this Spring Break did have good times. I was blessed by many of the experiences listed above and others not listed. However, it was not what I wanted to be doing. I wanted to be at EPCOT, watching the flowers grow, or the beach, eating seafood, or the mountains, watching the sunset over the Smokies. This week kind of reflects the experience I have had with cancer. Yes there are good moments and good memories. Yes I am learning and growing and truly thriving in this treatment process. And yet it is really not where I want to be. 1. I literally dread the saline solution used to clean out my port before and after treatment. Everytime I drive by the Cancer Clinic on I-55 I feel the metallic taste in my teeth and gums. It truly is terrible. 2. I hate. I repeat, hate the drip machine. beep, beep, beep, beep, BEEP, BEEP, BEEP. Yes the alarm gets louder when it is time to reset the timer or cut it off. I almost threw it out the window today, which would have been comical because I would have gone out the window with it. 3. I hate the Red Devil. After 6 treatments, I feel the nausea. Its a different nausea though. Instead of being intense, it is a dull nausea. Like I just can’t shake it. I actually asked the nurse today if anyone cried when the Red Devil was going in. I promptly held back tears. 4. I hate feeling groggy afterwards and really just like a pile of dump. So there the goods out weigh the gripes. Sometimes its great to just have a little perspective. Life will always have the Spring Forwards and the Fall Backs, but we have to keep the positives. I could sit and complain all day about my metallic mouth or the nausea OR I could laugh it off and know that I am getting healed. Now it is a time for something big. BIG NEWS coming soon to the blog. You can go to my website bryceyelverton.blogspot.com and subscribe to the blog with your email, simply type your email address in the blank on the right side of the page. Keep waiting for there is a time for everything and soon it is time for ACTION! Childlike Empress: He doesn’t understand that he’s the one who has the power to stop it(the Nothing). He simply can’t imagine that one little boy could be that important. Atreyu: Maybe he doesn’t know what he has to do! Childlike Empress: He has to give me a new name. He’s already chosen it, he just has to call it out. Part 1 of this week’s thoughts focused on my name: Bryce David Yelverton. As I said before, my name was never enough for me. I am a guy who loves titles. I love to be thought of as someone more than Bryce. Like for instance: I love DIsney stuff. Like I can talk movies, theme parks, company history, etc. til my tongue falls out. So naturally some people around me refer to me as the Disney Guy. I like that. There are also titles that I hate. For instance: I hate being called a jerk. Yes it has happened more than a few times. Yes I did deserve it. But again you can probably agree that being called the Disney Guy is way better than the jerk. One of the most influential books I have ever read is Wild at Heart by John Eldridge. I read it once as a high school kid, but I read it again when I was older. I also joined a Wild at Heart men’s group for a few years not that long ago. Wild at Heart had so many good things that I apply to myself now. One of those things is a question that all men have. That question is, “Do I have what it takes?” So many times I look in the mirror and ask myself that question, “Do I have what it takes?” Even though I feel like that question has been answered many times, I still ask again and again. Last week I got an answer to that question in the most amazing way. So go with me back to my childhood. Really the childhood of most kids born in the late 80s/early 90s. There were a few staples to films that all those kids would know. I am going to talk about two. The Neverending Story and The Lion King. 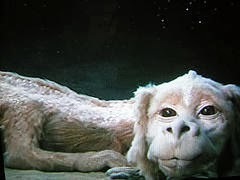 Let’s start with the wildcard: The Neverending Story. If you haven’t seen this movie, do yourself a favor and watch it. I must warn you it is weird. The story is a journey of a young boy, Bastion, who loves to read and in fact the book that he reads turns out to be real. The book focuses on the journey of Atreyu, a young warrior, who is trying to save the world of Fantasia from destruction by helping to save the life of the Childlike Empress (still with me here?). So the end of the movie has Bastion realizing that he has to be the one to save the Childlike Empress and the only way to do it……is to give her a name. What? Give her a name thats it? When I was a kid I thought this was ridiculous. Plus in the movie you can’t even understand what name Bastion gives the Childlike Empress (because he yells it in a storm). However, it worked. Giving the Empress a name, saved the whole world of Fantasia. There is power in names. I am constantly asking my question to God and everyone else in my life. Do I have what it takes? God’s answer; Remember who you are. So recently I have been battling the urge to give up. I hate cancer. I hate chemotherapy. I hate the metallic taste in my mouth. I hate the numbness in my fingertips. I hate the dull nausea and the fear of headaches. I hate it. Last week was my birthday as most of you know. I received lots of cards and letters of love from dear friends, new friends, and even strangers. I also received a package in the mail from a great family friend of mine: Maggie. Maggie’s parents have been friends with my family for years. They used to help babysit me and my sister, Becca when we were little. I even pooped on Maggie’s dad’s leg as an infant (he still wishes his kids had done the same to me, but alas that has not happened yet). Anyway you get the point. During Thanksgiving week, Maggie made me a Rainbow loom bracelet. If you don’t know what a Rainbow loom bracelet is, just ask any kid you know that is under the age of 12. I started wearing the bracelet during my cancer treatment to remind me that people are praying for me and that people love me. Maggie’s mom told me that Maggie was making me a new bracelet that was Maroon and White for Mississippi State. I assumed that this was what was in the package. At that moment, not only did I start weeping (really it was snot crying), but I also heard clearly the answer to my question. “God, do I have what it takes?” And He said, “Remember who you are, you are my son and a warrior.” He gave me another name. Warrior. I know that crying is not neccessarily a warrior thing to do, but beating cancer is. The name was not yelled in a storm, nor was it in the voice of James Earl Jones, it was written by the hand of a child, who chose to make a nice bracelet for a friend. A child that God chose to use as a vessel for his voice. There is so much power in names. That is why so many praying people, use Jesus’ name when they pray. They say, “In Jesus name.” Because His name is powerful. And the names He gives his children are powerful too. Do you have what it takes to ask if you have what it takes? And for all of you that want to know what name Bastion gives the Childlike Empress – it’s MoonChild. Yeah I know, I was disappointed too. 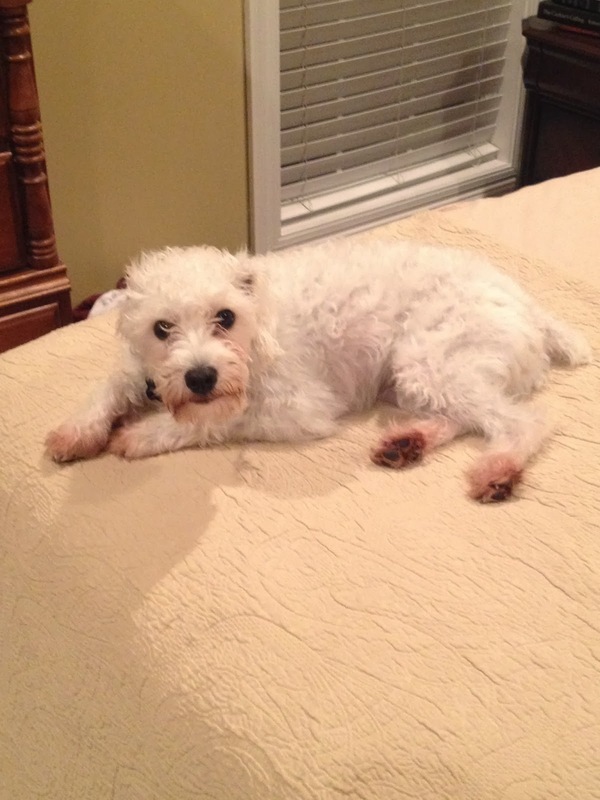 Oh, but I do have a dog that looks like Falkor. Do you ever wonder about the origins of your name? My name is unique. Bryce is not a name you hear a lot these days. David you see a good bit. Yelverton well yeah you don’t really see a lot of Yelvertons either. There is so much time, energy, and money that is thrown at picking the perfect name. Some parents knew what they were going to name their children way before they even had kids. Some think of a name on the spur of the moment. Your name is so important when you really think about it. When someone wants to be cleared of a crime or bad action they say, “clear my name.” Now that doesn’t mean that we need to clear away any smudges on paper or rewrite the name, it means that our honor or our reputation has been broken and smudged. Our name means so much more than just letters on a page. Like just look at my name. Ok so I do have freckles, but I am not very fast. I like the first meaning: son of a nobleman. It shows more than just a fact. Son of a person who is noble. Son of a person who has power or wealth. Son in a family where there is respect or high reputation. Another cool thing about Bryce is that it is the name of a National Park in Utah. Bryce Canyon National Park. One of the most beautiful places I have ever been. It was found by a group of Mormons traveling out West. Their leader was Ebeneezer Bryce. Thus the namesake. It is not this fact that ties me to this vista though. It is the fact that I am a massive Disney fan. You are confused because how did I get from my name to a canyon to Disney. See when Disney was working on Big Thunder Mountain Railroad, the imagineers (the creative minds behind the rides and attractions) looked to Bryce Canyon National Park as one of their references for created Big Thunder, which just happens to be one of my favorite rides (and the wildest ride in the wilderness). So when I think of Bryce, I don’t think spotted or swift, but I do think about how I am secretly connected to that beautiful canyon in Utah and my favorite attraction in Frontierland. All the translations of the name David are beloved. David has a special place in my name. First off is sounds great with Bryce. Just say it: Bryce David. Some at my church used to call me that when I was little. David, however, is much more than just a name to me. I was introduced to King David when I was little. He beat Goliath. Always thought that was a cool story. It was later in life that I found out that David didn’t always do good. In fact David screwed up a bunch too. This made me like him more. See David was a mighty king. He did so much good for his people, but David also was an adulterer. He stole someone else’s wife and ensured the death of that husband. David was a sinner and yet he is referred to as the man after God’s own heart. David did so many great things and paved the way for the leaders after him. He was a great leader and a seeker of God. And also he had blemishes. David saw his short falls through the prophet Nathan. He repented and asked forgiveness and sought after God for all his days. How could I not love that name. Life is not perfect and I make mistakes, but having a name like David reminds me that there is redemption in seeking God. You see Bryce David, I see Bryce Beloved and Bryce Redemption. Now besides being the name of a town where the Yelvertons originated, I do not know much about what Yelverton means. But if you would let me take a different approach on the name Yelverton, I can show you why it means so much to me. The Yelverton’s are my family. The name Yelverton means so much more than just a group of people. The Yelvertons are some of most loving, giving, and caring individuals that I know. When I think Yelverton though, I remember all the family reunions and get togethers that always felt like home, even if it wasn’t at home. I wear the name Yelverton with pride because those are my people (as Dolly Parton would say). They are me and I could not be prouder of that name. So there it is. My name. I do love my name, because it has so much of who I am embedded between the letters. It has my love of Disney, my passion for God, and the legacy that created me all wrapped into three words. But that name was not enough for me. See I am funny about names. This week I had an encounter with names and it truly rocked my cancer world. But that story is for next time. For now, what’s in your name? What is hiding in there that shows who you are and what you are about? What is your legacy?